In May of 1920, the hospital established the School of Nursing with only three ladies in the freshman class. Miss Elizabeth Hill, a graduate of Mitchell College and the School of Nursing at Charlotte Sanatorium, (today Carolina Medical Center), was the entire nursing staff. In addition to organizing the School of Nursing, Miss Hill was the first Superintendent of Nurses at Davis, (considered today Director of Nursing/Chief Clinical Officer). The School of Nursing continued operations until 1984, graduating at least 720 people from the three-year nursing school. Interestingly, all of the graduates were women, except for one man, according to a long-time instructor. In the hospital's second year of operation Dr. Carpenter died, leaving Dr. Davis to operate the hospital. While continuing to run the hospital, Dr. Davis began searching for land for a new hospital. He chose a cow pasture near the Wagner homestead on West End Avenue, his grandmother's home. This site would later become the home of his 250-bed hospital. One of the first hospitals in North Carolina to use a radiographoscope to view x-ray films. (Radiographoscope was invented by a North Carolina physician). One of the very first Emergency Departments in North Carolina to be open and staffed by a physician 24 hours a day, seven days a week - not unusual today, but a significant accomplishment in the 1920s. 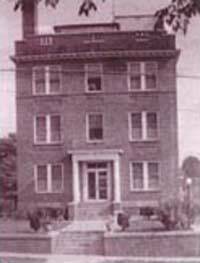 One of the first hospitals in North Carolina and one of the first in the United States to install air conditioning in the operating rooms. Utilizing air conditioning is a standard practice today, but not in the early years of healthcare. One of the first hospitals in the United States to use glucose intravenously. An early organizer of blood-donor services and had a blood bank very early in its history. Davis Hospital continued to operate from the West End location until 1984. Over time 17 additions were made and the need for a newer more modern facility became apparent. Construction on a $20 million dollar state-of-the-art facility began in April 1983. 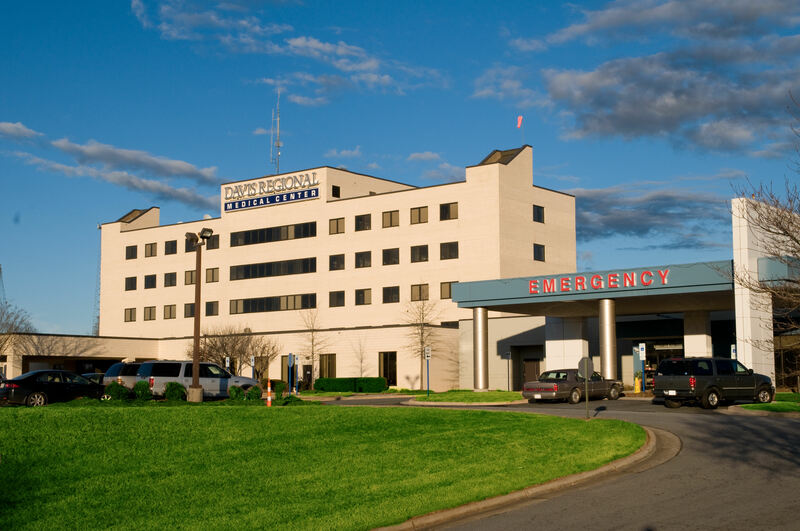 On March 24, 1984, Davis moved 58 patients from the West End location to their new hospital on Old Mocksville Road, a 149-bed facility. The first Neurologist and Neurodiagnostics Laboratory, offering EEG, EMG, and NCU diagnostic testing. The first mobile Lithotripter (crushing of kidney stones) in Iredell County. The first Laparoscopic Cholecystectomy in North Carolina. Opened new 20-bed ER in September 2009, offering special amenities for enhanced patient comfort and privacy. Began an interventional cardiac cath program in December 2010. Received accreditation from the Society of Chest Pain Centers (SCPC) on Tuesday, April 5, 2011. Davis Regional was the first hospital in the county to receive this distinction. Expanded Behavioral Health Services in October 2011 with the opening of a 12-bed inpatient unit for geriatric patients. Introduced robotic surgery in January 2013 giving surgeons enhanced dexterity, precision, and range of motion. Began offering Bone Density Screenings, May 2018. 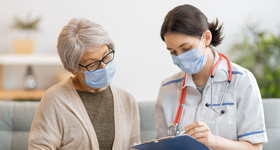 While Davis Regional has experienced many changes over the years, it is important to note that the hospital's commitment to the community has not wavered. Consistently, the hospital has contributed an average of over $40 million dollars each year back to the community in the form of local taxes paid, charitable contributions/public service, charity care, salaries and equipment upgrades.